Berkshire Hathaway Specialty Insurance (www.bhspecialty.com) provides commercial property, casualty, healthcare professional liability, executive and professional lines, surety, travel, programs, medical stop loss and homeowners insurance. We are part of Berkshire Hathaway’s National Indemnity group of insurance companies, consisting of National Indemnity and its affiliates, which hold financial strength ratings of A++ from AM Best and AA+ from Standard & Poor’s. 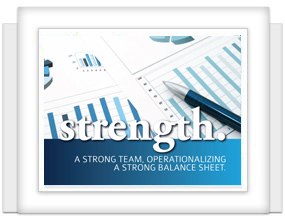 The rating scales can be found at www.ambest.com and www.standardandpoors.com, respectively. Based in Boston, Berkshire Hathaway Specialty Insurance has offices in Atlanta, Boston, Chicago, Houston, Irvine, Los Angeles, New York, San Francisco, San Ramon, Seattle, Stevens Point, Auckland, Brisbane, Düsseldorf, Hong Kong, Macau, Melbourne, Singapore, Sydney and Toronto. Berkshire Hathaway and its subsidiaries engage in diverse business activities including property and casualty insurance and reinsurance, utilities and energy, freight rail transportation, finance, manufacturing, retailing and services. The common stock of Berkshire Hathaway Inc. is listed on the New York Stock Exchange under the trading symbols BRK.A and BRK.B.